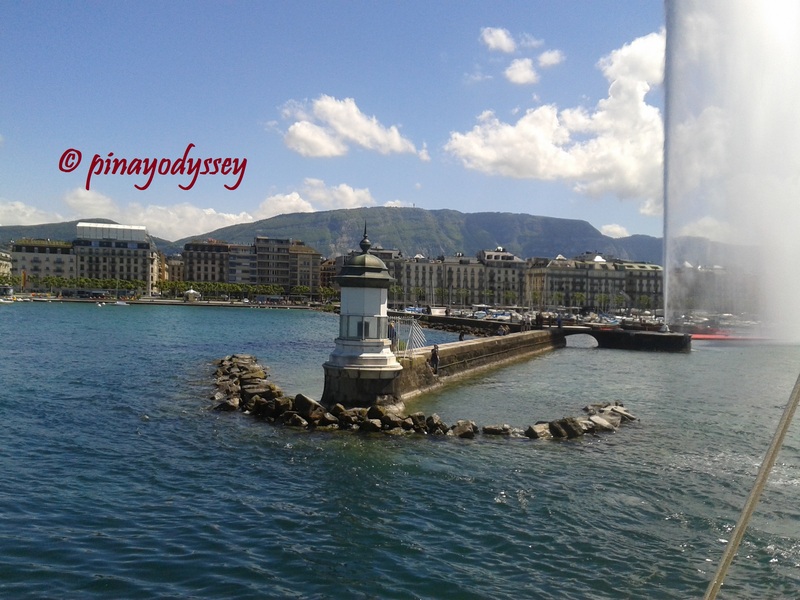 Anyway, I’m up and about and will continue writing about my escapade in the Peace Capital – Geneva. 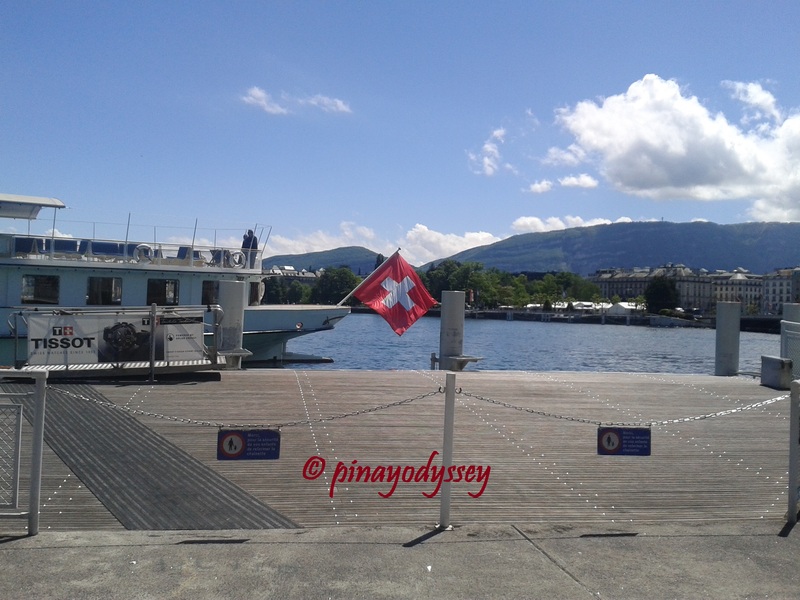 After taking a walking tour around the smallest of big cities, I and my travel buddies, my sister and a friend, then proceeded to the vast Lac Léman or Lake Geneva. The crescent-shaped lake is divided between France and Switzerland, and, with a surface area of 580.03 km2, one of the largest lakes in Western Europe. 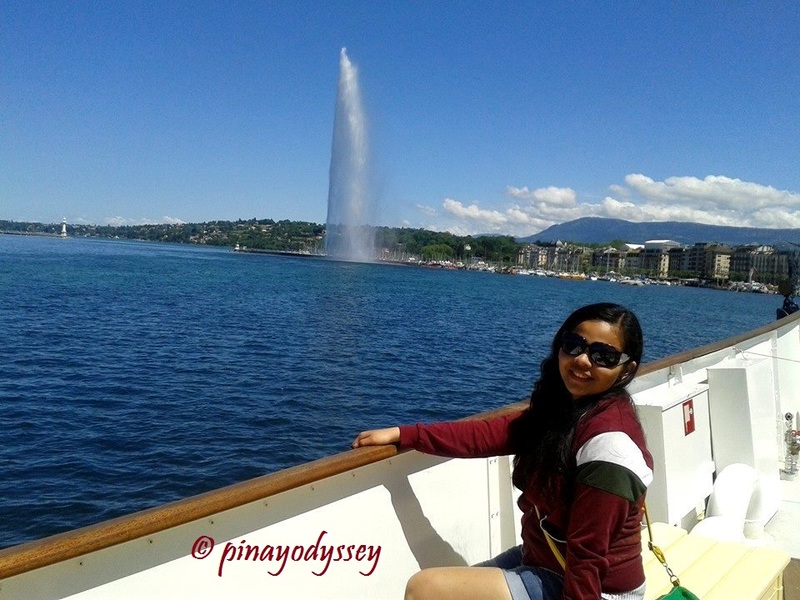 Lake Geneva is the largest body of water in Switzerland. Interestingly, Wikipedia notes that it was highly polluted in the 1960s, to the point of zero visibility under water. Fish was even wiped out in the 1980s. But after major restoration, the lake became safe again, both for swimming and other recreational activities of humans and the survival of animal species. 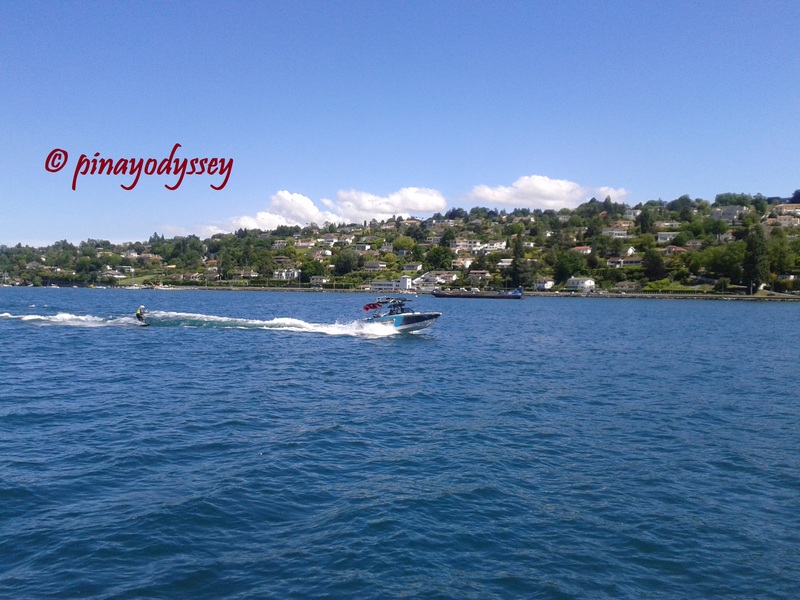 One activity I would highly recommend is the mini-cruise. We took the one offered by CGN. You can easily spot their ticket booth by the bank of the lake. 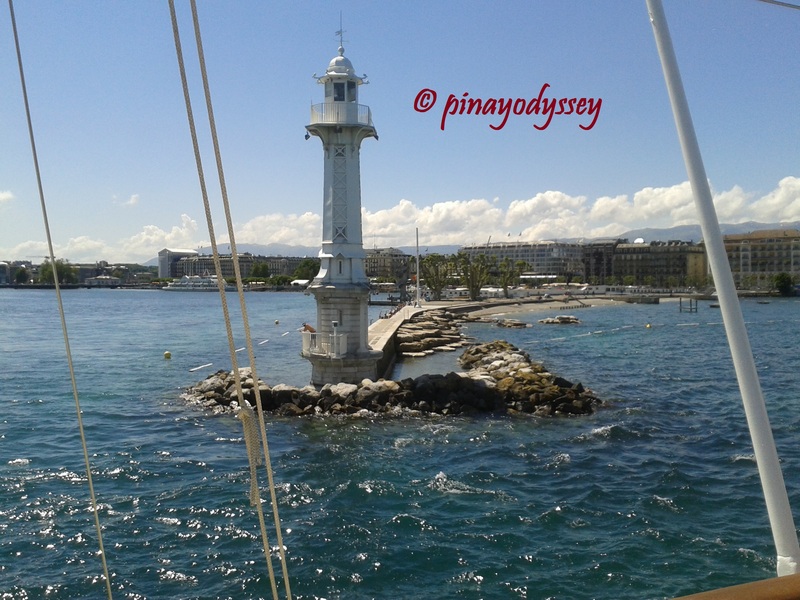 CGN offers different types of cruises using their fleet, which range from modern ferry boats to old paddle steamers. 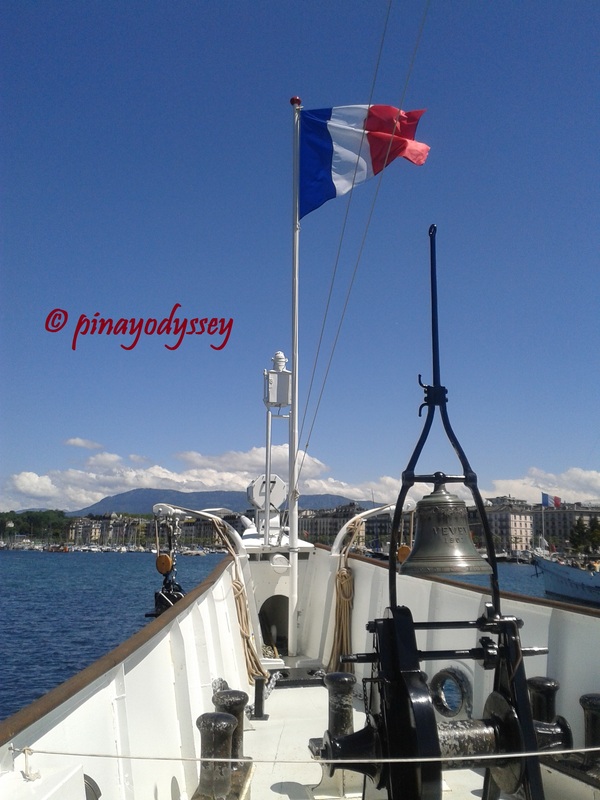 We boarded the Montreux, “the veteran of the CGN fleet”. 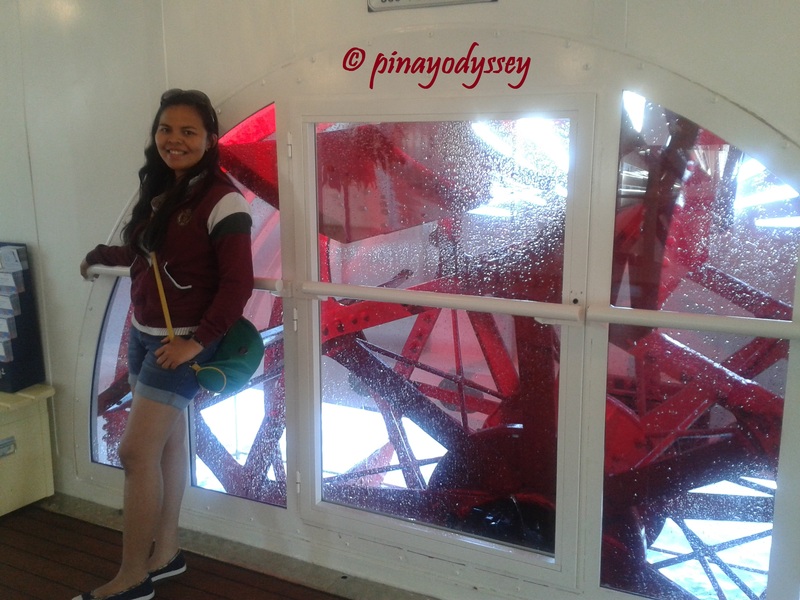 The paddle steamer can carry up to 560 passengers, and has a nice lounge and restaurant on board. 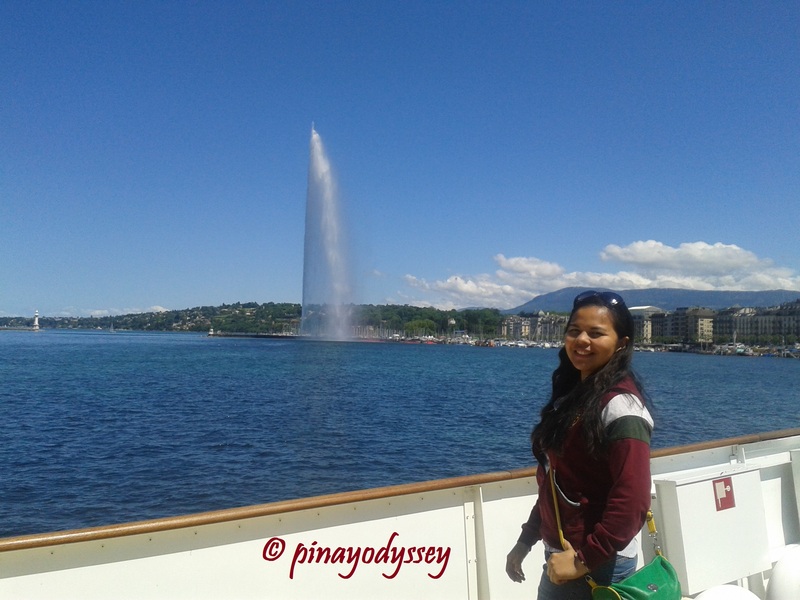 Now, Geneva’s most famous landmark is undoubtedly the Jet d’Eau. It is so easy to fall in love with this huge water jet, one of the largest in the world. A “symbol of strength, ambition and vitality”, the fountain pumps 500 liters of water per second. The height reaches up to 140 meters – a sight to behold! It was originally built in 1886 ” to control and release the excess pressure of a hydraulic plant at La Coulouvrenière”. 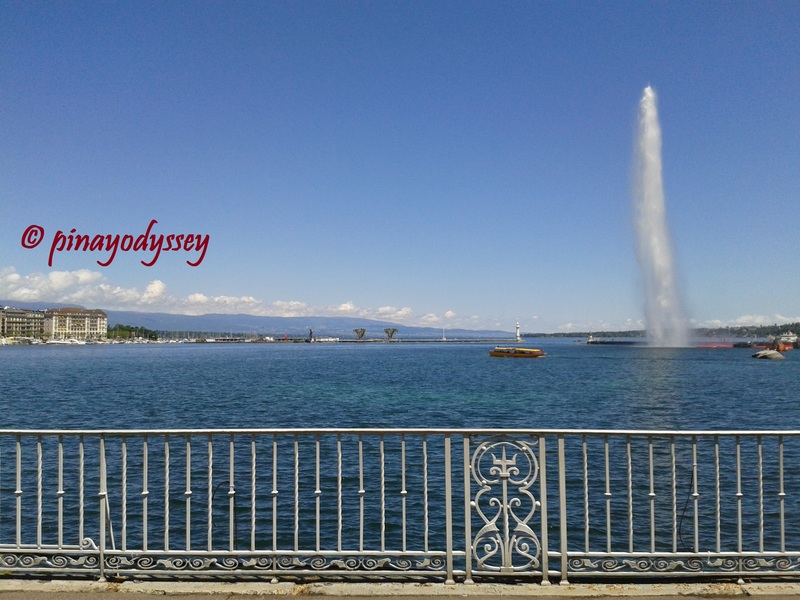 Eventually, in 1891, the fountain was moved to its present location “to celebrate the Federal Gymnastics Festival and the 600th anniversary of the Swiss Federation”. 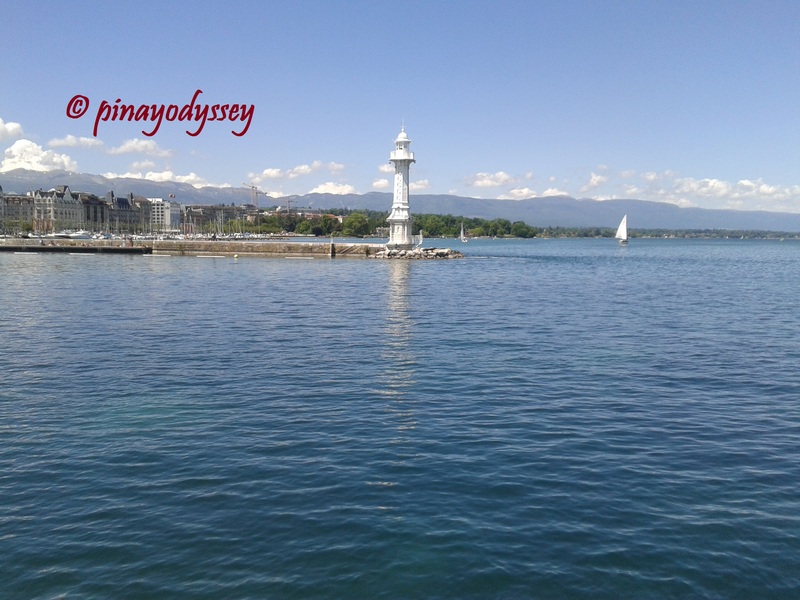 The ferry will take you near the water jet, and close enough to see some of Geneva’s wonderful lighthouses. For instance, there’s Les Pâquis, which was first established in 1857 to test the use of primitive form of electric lighting. The present white-painted lighthouse was built in 1896, flashes white or green light depending on the direction, and is floodlit at night. 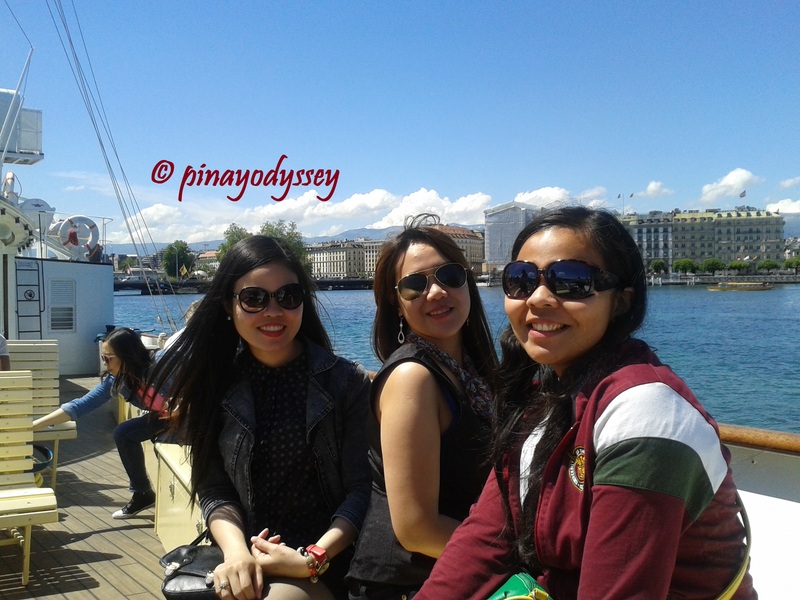 After the walking tour in the city and the cruise in Lake Geneva, we had to call it a day. 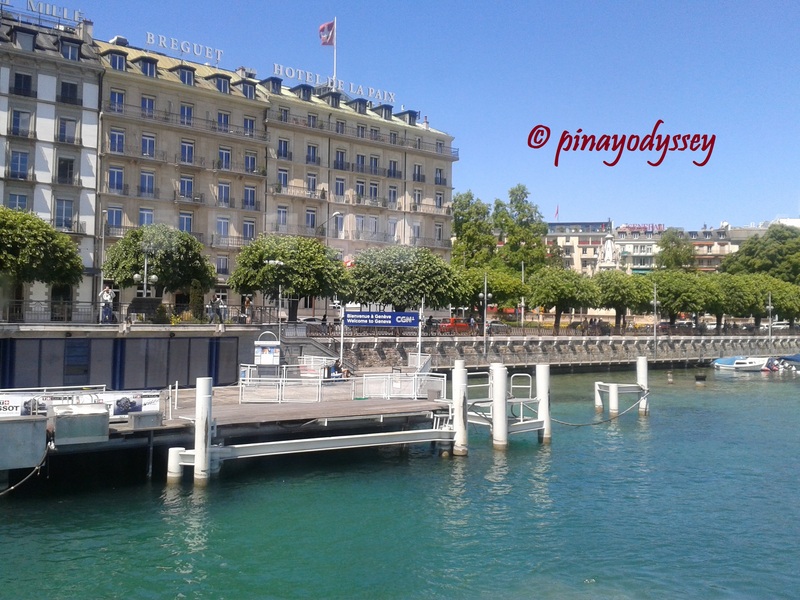 We traveled back to Novotel Genève Aéroport France and shopped a little. 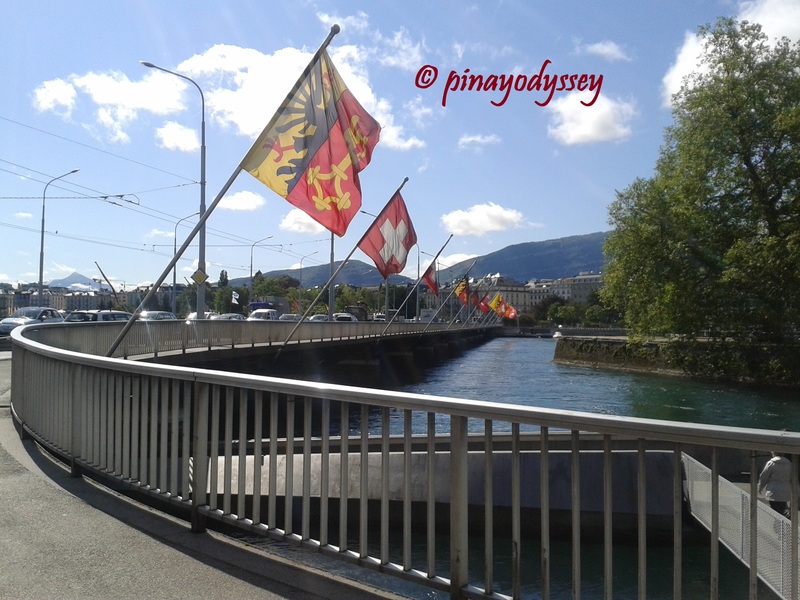 Most Swiss travel to France or Germany to buy goods and groceries, as the prices are relatively cheaper. Thus, it was lucky for us to have stayed in the French side. 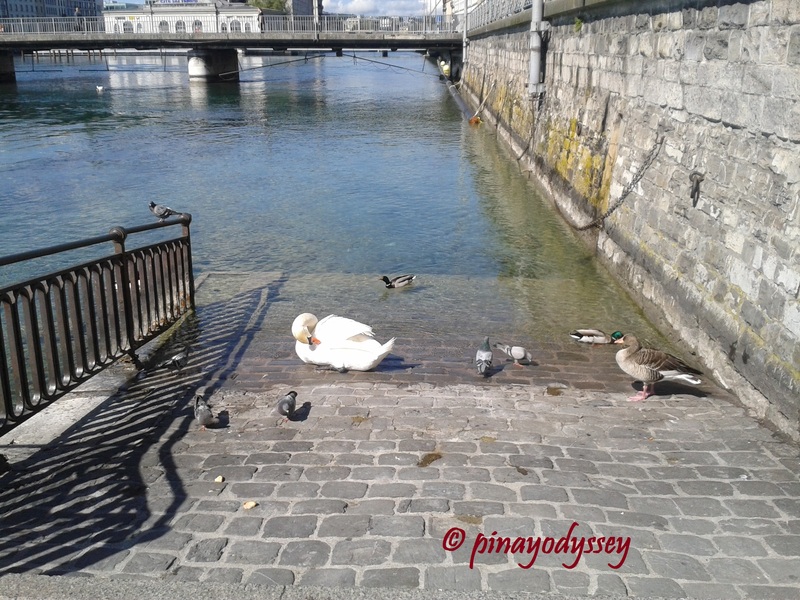 The following day was reserved for another walking tour, this time, in the Old Town of Geneva. 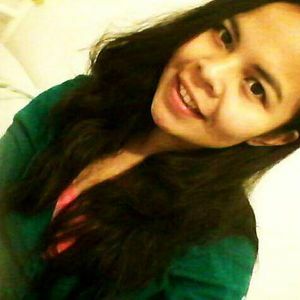 😉 Så ses vi senere!